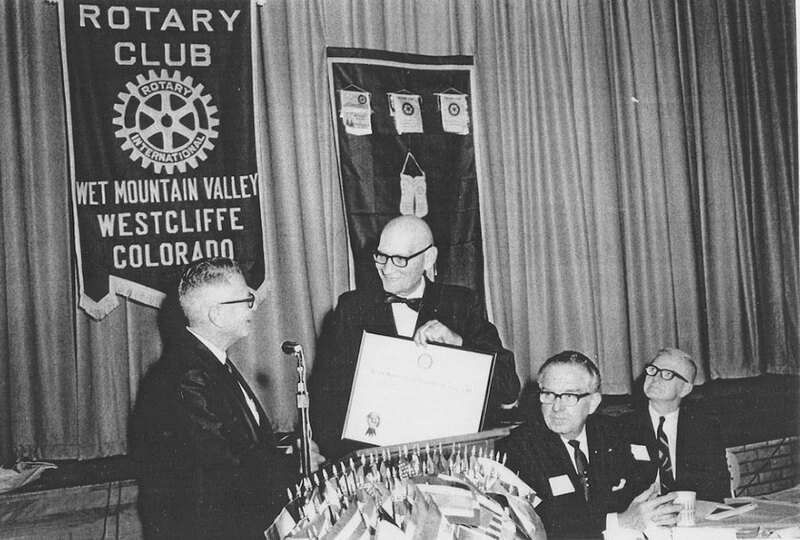 The Wet Mountain Valley (Westcliffe) Rotary Club was chartered on February 23, 1968. 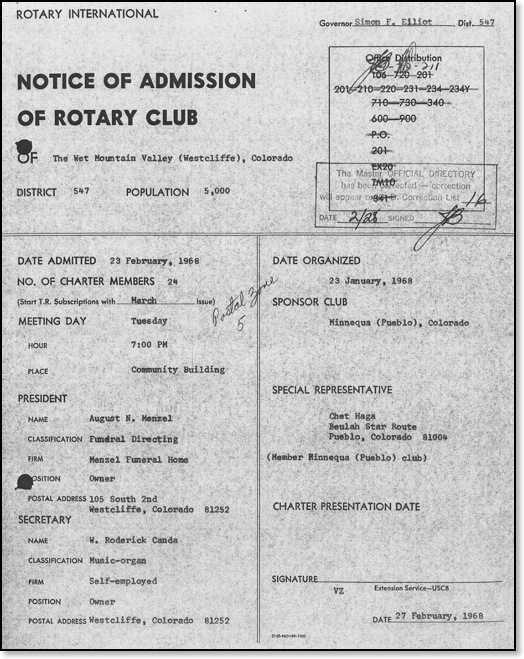 The population of Westcliffe was 300 and the County 5000, according to the original documents. The first president was August N. Menzel, who served with Vice-President Myron J. Chesley and Secretary W. Roderick Canda. 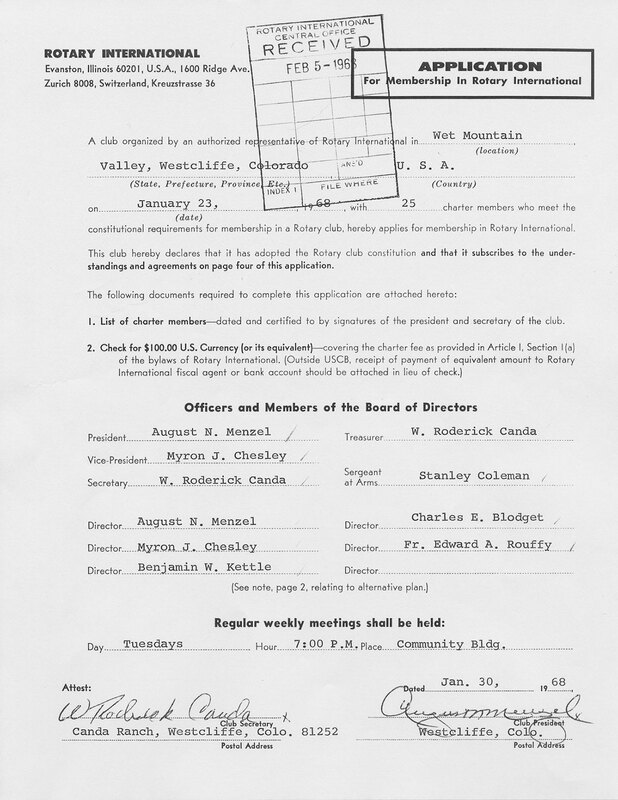 There were 24 original members, and they met Tuesday evenings at the Community Building. Presentation of the original charter. 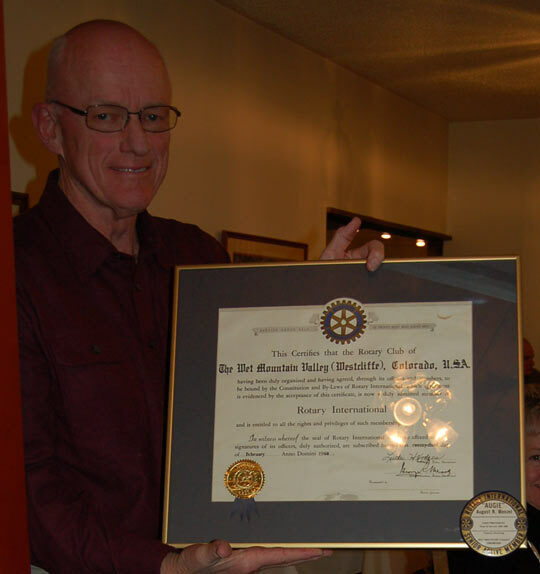 The Wet Mountain Valley Rotary Club Foundation was set up to provide a fund for scholarships. It was first created in the summer of 1998. 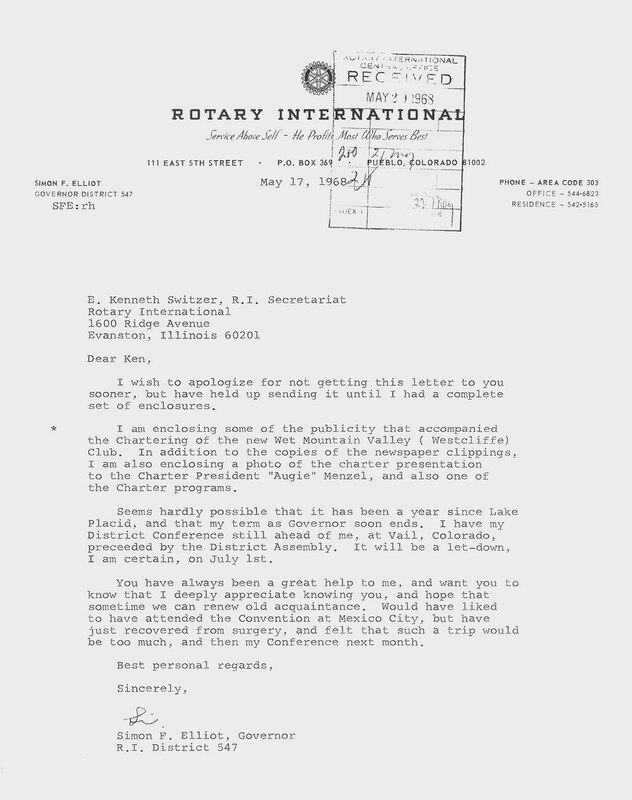 You can read more on the history of the Rotary Foundation by clicking here. The brochure can be found here. 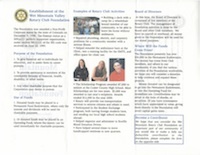 Information on the Scholarship Program was provided to the community, and you can read it here.